I think I have mentioned that I am a big fan of salads. 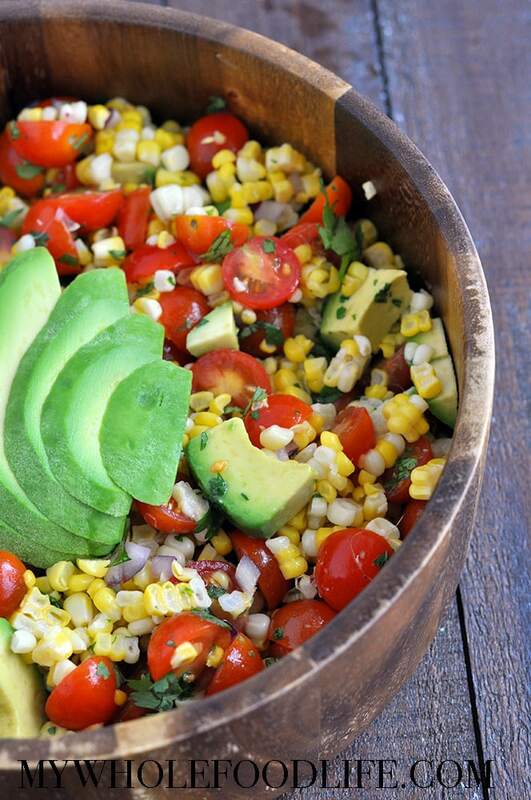 This Corn Tomato Avocado Salad is my latest. I have so many healthy salad recipes on the blog already. You can never have too many salad recipes right? The corn we used in this recipe was organic and non GMO. We bought 48 ears of it from our co-op last summer. We still had some left in the freezer. 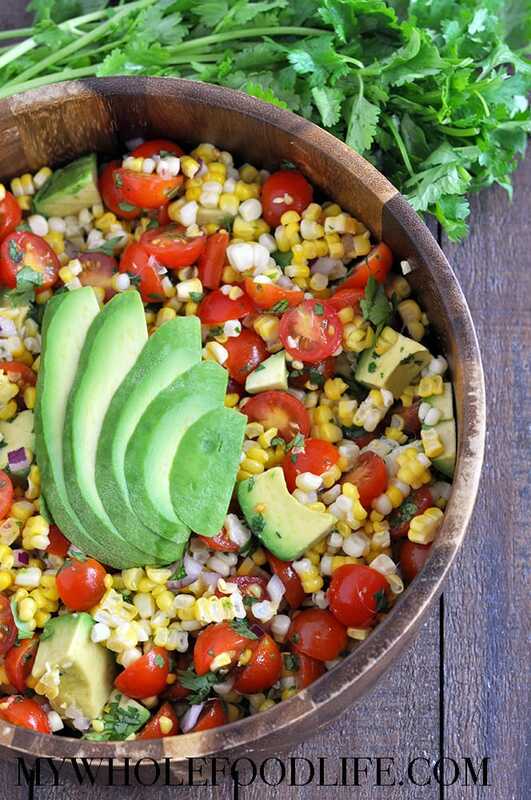 This corn, tomato and avocado salad could be eaten on it’s own, but it also makes a great side dish too. If you are worried about the avocado browning in the fridge, you can always squeeze a little extra lime juice on it. Or you can add the avocado right before you eat it. That is what we did. Avocado makes everything better, doesn’t it? Want to make this recipe? Watch the video below. For more videos, you can subscribe to my YouTube channel. 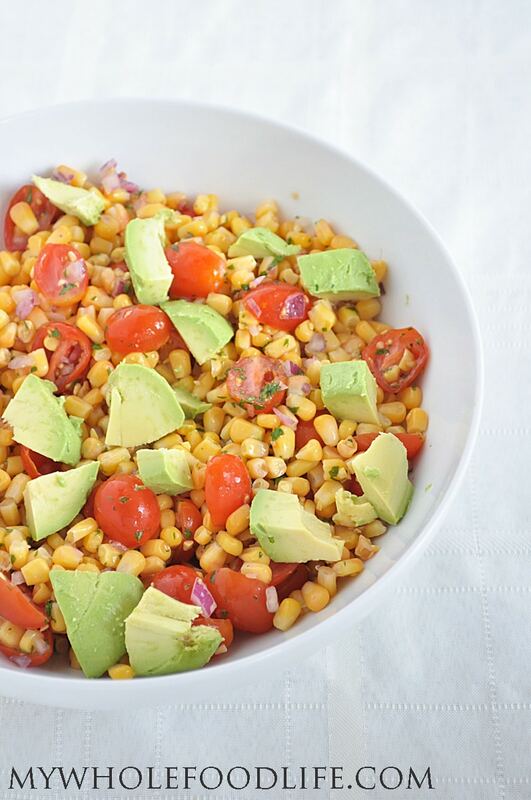 If using frozen corn, let it thaw on the counter before using in this recipe. You can eat it right away, but I think the flavor develops even more as it sits in the fridge. If you can, try and let it sit for at least an hour. This salad should keep for at least a week in the fridge. Enjoy! This sounds amazing...but then again so does anything with avocado! 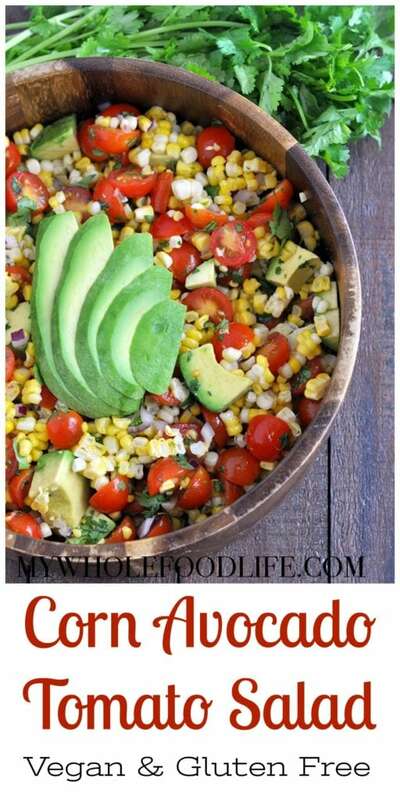 I'm definitely adding this to next week's meal plan with some black beans! Oh black beans will be a yummy addition! Could you substitute the Oil for something else? Recommendation? This is absolutely yummy. I really enjoyed the salad, it is very tasty. Thank Lijana! So glad you liked it! I just bought 2 Ataulfo mangos from a farmers market on a whim yesterday. I’m contemplating dicing them and adding to this salad. But not sure if it would work? I usually follow recipes to a T so I’m unsure if this would be good or not? Comments? That would be delicious!! I may try it next time, too.